If you are going to be in Anaheim this weekend, make sure that you stop by Booth #1209 and check out all the amazing premiums CBLDF will have! If you haven’t gotten your badge yet, don’t despair – there are still badges available for Friday and Sunday! While there don’t forget to check out CBLDF’s programming. Each day features a different discussion led by Executive Director Charles Brownstein. These talks are interesting, informative and cover both historical and practical information about censorship in the world we live in. Get a global look at censorship in comics from CBLDF! Learn about current censorship challenges in the U.S., including new bills attempting to regulate internet use, and the abundance of local challenges to comics addressing diversity and equality. Explore how cartoonists are being prosecuted, threatened, and intimidated by authorities around the globe for making art. Learn how you can participate with CBLDF in making a difference and standing up for free expression! The untold story of comics’ original social justice crusaders! From 1950 to 1955, the young creators of EC Comics changed the face of the medium, injecting new heights of craft, storytelling and artistry to comics. In titles like Tales From The Crypt, Weird Fantasy, MAD, and Shock SuspenStories, EC addressed civil rights, the injustices of war, gender fluidity, vegetarianism, and other vital topics. Discover how EC’s unprecedented social consciousness changed comics! 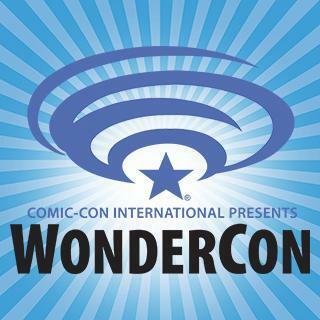 Whether or not you’re attending this year’s WonderCon – make sure to follow us on Twitter, Instagram, and Facebook to see all the awesome exclusive premiums we’ll be offering!